Not exactly locost but finally on the road!!! Author: Subject: Not exactly locost but finally on the road!!! I finally have a project completed and on the road after the 3rd attempt! Although its not a locost as such or really a kit car, total cost for the entire car including 4 new tyres is a hair under £550! 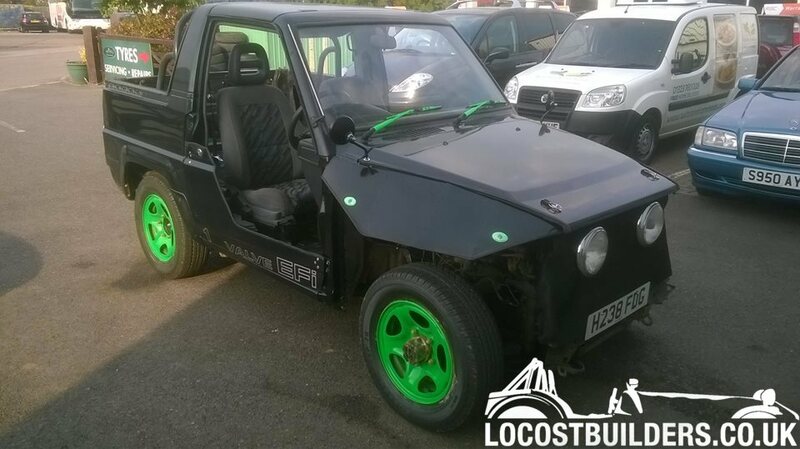 It started out as a farmers Daihatsu Sportrak caked in mud and over the last few months has been converted into a buggy! Four point harnesses are top of my priority list closely followed by more power. Iv done just over 200 miles in the last 3 weeks since the MOT building up to the Teddy bear run which for us will be around 250 mile round trip. Well its bonkers but for that cost is defo locost indeed! Careful you don't fall out! Looks like lots of fun for £500 though. Interesting project and well done but is that really legal? Headlamps look very close together and the front mudguards look like they are capable of slicing a ped/cyclist/ motorcyclist in two. That's a bit different to what you were building when I first joined this forum !! 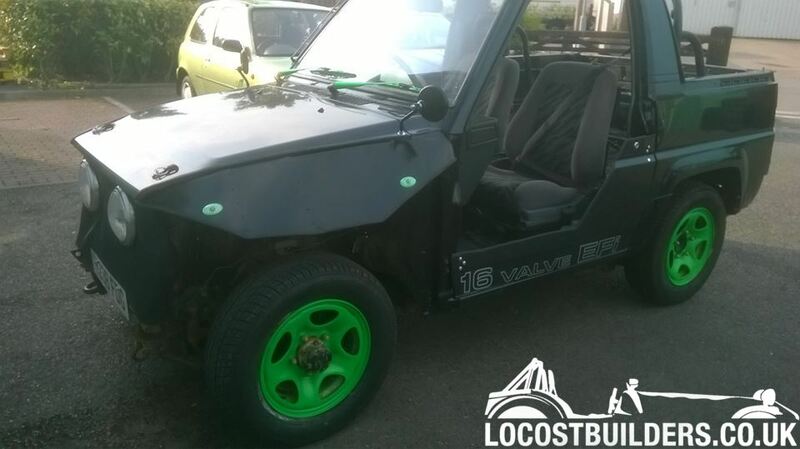 LocostBuilders » Forum » Locost Related » Not exactly locost but finally on the road!! !